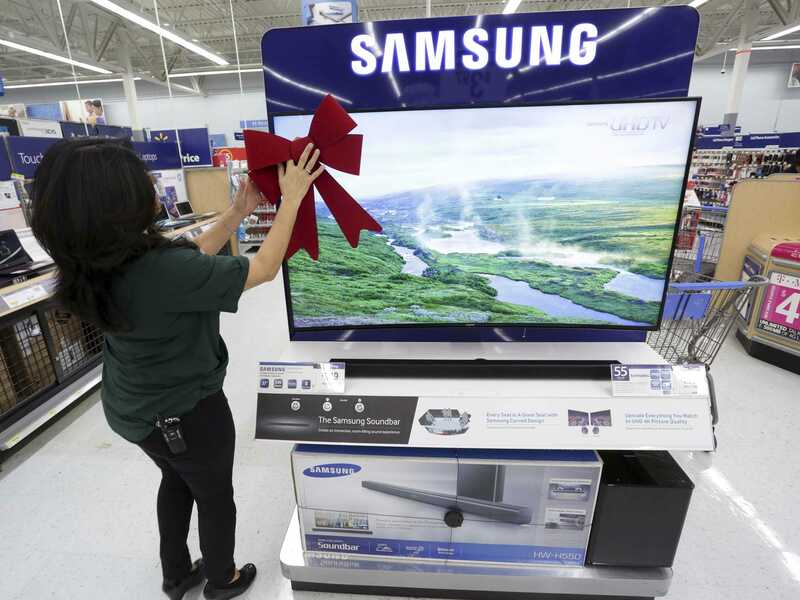 REUTERS/Jonathan AlcornUSA-ECONOMYRTR4FEQ824 Nov. 2014Los Angeles, UNITED STATESAn employee adjusts a large ribbon on a television display at Walmart as the store prepares for Black Friday in Los Angeles, California November 24, 2014. Black Friday sales are well underway around the US, as many retailers opened their doors to customers on Thanksgiving evening. Though it’s still relatively early in the day, Wal-Mart has announced some remarkable figures for shopper attendance so far. hat’s more than the number of people who visit Disneyland in an entire year,” the company noted. (A relatively measly 16.3 million people visited the theme park in 2013). Tablets, television sets, sheets, children’s apparel and video games were the top five categories this Black Friday, according to Wal-Mart. The retailer has been particularly aggressive about promoting its Black Friday deals this year; US sales have remained relatively flat this year. The company recently instituted an official price-matching policy and invested in its online experience to lure shoppers away from the competition. With those kinds of crowds showing up to shop on Black Friday, there were bound to be some scuffles. Here’s a look at the chaos inside one Wal-Mart as the sales began.